Please allow 3 days notice for all deliveries and pickups. Thank you! You can download our summary table here. Native to Queensland, Far Northern New South Wales and Western Australia. It is a very soft, deep blue-green, fine textured grass. Tolerates coastal conditions extremely well. 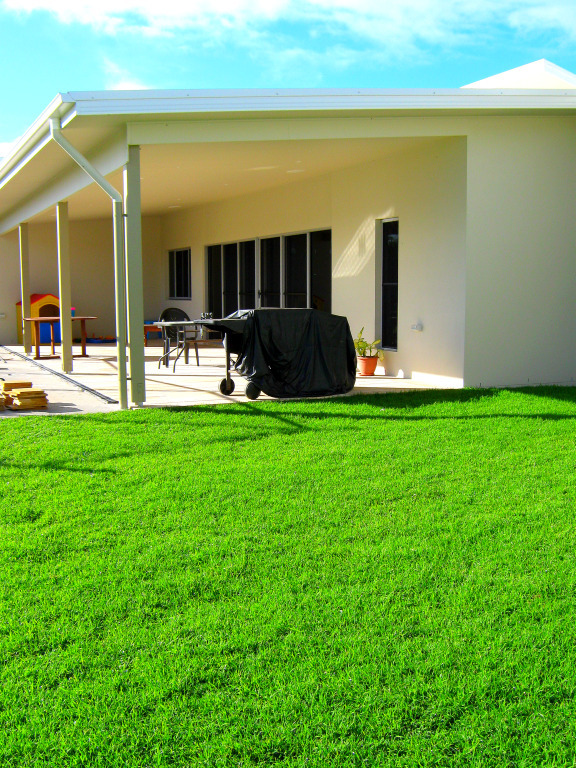 Summary – Queensland Blue Couch is the ideal turf for the sunny areas around your house such as the front yard and entertaining areas, as a beautiful dark green lawn is achieved year round with a minimal amount of lawn maintenance. Its softness and dark colour presents beautifully. A great lawn to sit on, lay on, and play with the kids. Thrives in full sun conditions (requiring approximately 7-8hrs of direct sunlight a day). Excellent traffic tolerance (kids playing, dogs running & cars parking). Ranges from a light green to a dark green colour. Good tolerance of cold and frosty conditions, making it ideal for the hinterland areas of the Tweed and Gold Coasts. Readily adapts to different environments (hot and dry conditions, to cold and moist conditions). 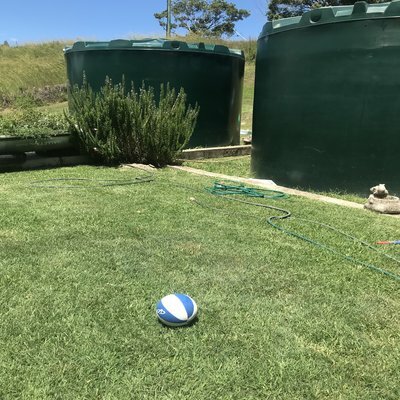 Summary – Wintergreen is the ideal turf for areas that receive a great amount of wear and tear from traffic, such as backyards, caravan parks, sports ovals, council footpaths, car parking lots and walkways. An improved variety of buffalo grass that originated from Florida U.S.A. Excellent Shade tolerance (requiring only 3hrs of sunlight per day). 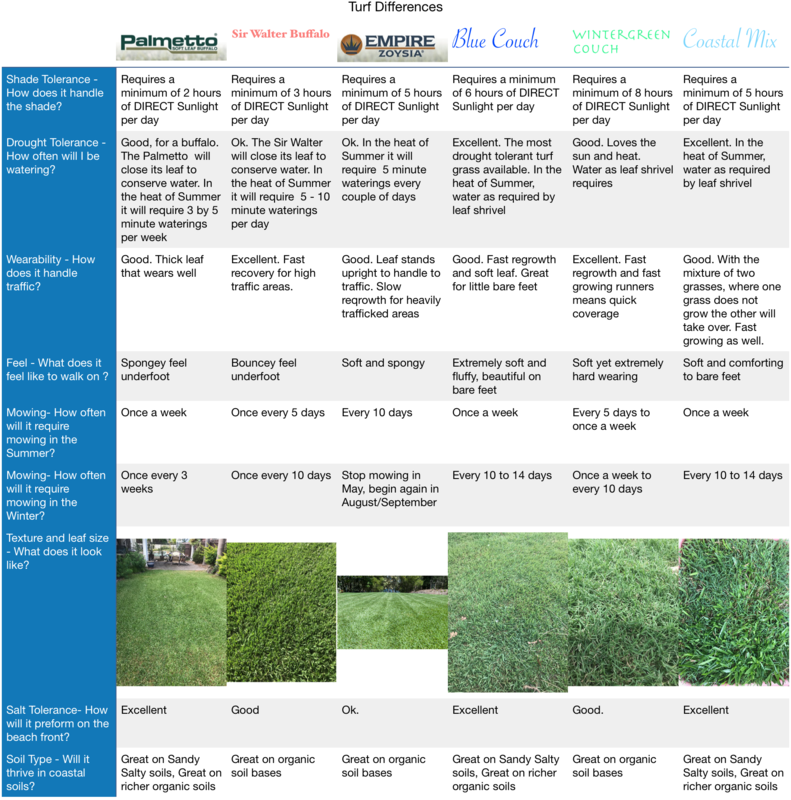 Excellent weed resistance year round (as a thick mat like turf is created). Less mowing required than other Soft Leaf Buffaloes, due to Palmetto coming from a tropical environment (Florida) to another here on the Gold / Tweed Coast. Summary – Palmetto Buffalo is the ideal turf for those who desire a low maintenance high quality thick leafed lawn all year round and for grassed areas around apartment complexes and family lawns. Palmetto makes a great outside carpet for families to enjoy. The Australian bred Buffalo grass, for our conditions. Summary – Sir Walter buffalo is a wonderful family lawn. The thick lush grass will gladly handle the wear and tear of little feet and paws. The Sir Walter buffalo is perfect for shadier backyards with active families. A course textured grass that is lime green in colour with very soft leaves. Excellent shade tolerance (requiring approx 2hrs of filtered sunlight per day). Unique course texture created due to ‘curly’ leaves. 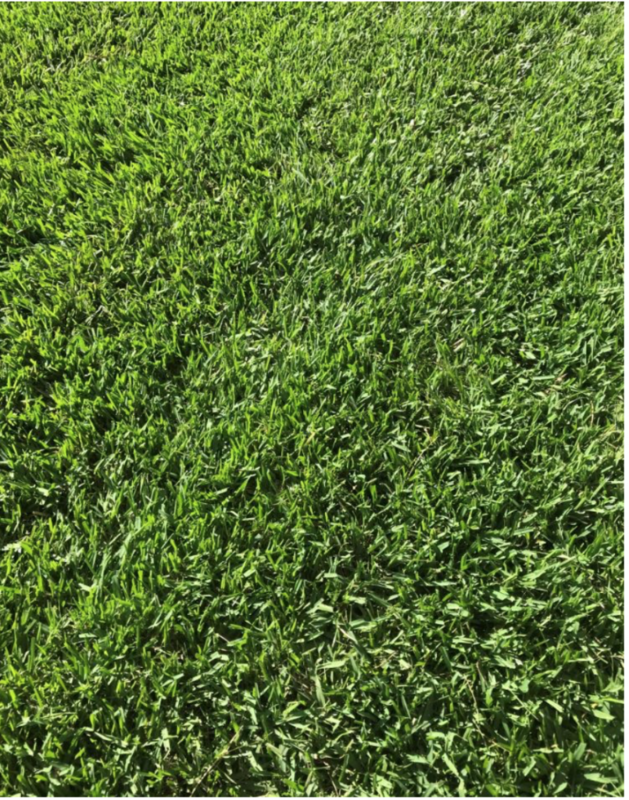 Summary – Sweet Smother grass is the ideal turf for those who desire a unique coarse textured lawn and for areas such as feature gardens and grassed areas around apartment complexes that suffer from a great amount of shade but DO NOT receive very much traffic. 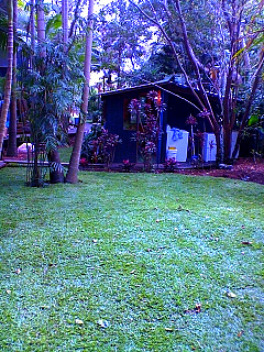 The Perfect turf lawn under larger trees, such as Macadamias. Empire Zoysia has an excellent Dark Emerald Green Colour all year round. The leaf size which is half way between a Couch and a buffalo, which gives Empire Zoysia the soft under foot feel of a couch lawn, but with the hard wearing qualities of a buffalo lawn. Empire Zoysia “sleeps” over winter, requiring little to no maintenance (mowing, watering, fertilising) and grows so slowly over summer that you only need to mow every 15 days.Empire Zoysia requires a minimum of 6 hours of sunlight a day. Empire Zoysia tells you when it needs watering by curling its leaf.Empire Zoysia is a thick dense lush lawn, meaning that it is less likely to allow weeds invasion. Summary – Zoysia is an ideal option for those that do not desire the course textured Buffalo grasses but still require a grass that is capable of growing in shady conditions and can tolerate a moderate amount of wear. E-Z lawns are very low maintenance but have a fantastic colour all year round! Turf is a living organism that requires nutrients, moisture and sunlight to grow. Coastal Turf does not offer any money back guarantees, choose your turf carefully and maintain that product accordingly. Coastal Turf can only offer our best advice on suitable turf varieties from the customers description of the area. Ongoing advice and consultation can be arranged accordingly if required. Coastal Turf does not take any responsibility for the on going care, appearance, watering, nor quality of the turf. Coastal Turf does not take any responsibility for any damage done to the property on site for a delivery or installation that may be caused unless that damage was properly and specifically cautioned by the owner or the site foreman to the individual Coastal Turf employee. 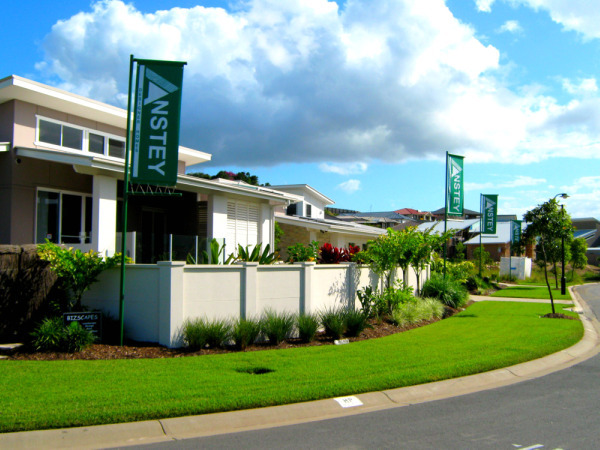 Coastal Turf will provide upon request to the customer with the required information to establish and maintain a quality lawn: this information is made available to Coastal Turf’s customers as a recommendation only. 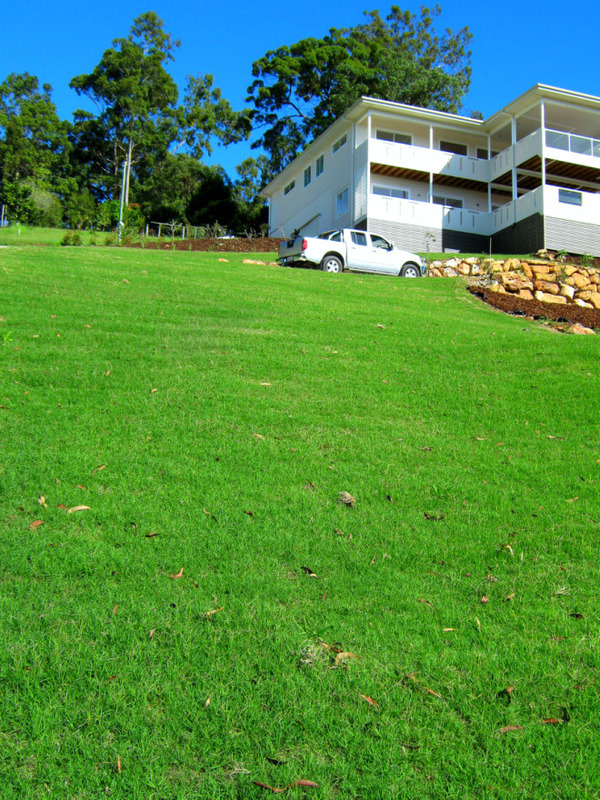 Coastal turf products are delivered and installed according to Coastal Turf’s standards and codes of practices. Coastal Turf is a member of the QTPA and the TPA and adheres to the relevant industry Guidelines and codes of practices. Risk in any turf supplied By Coastal Turf to a customer shall pass when the turf is delivered to the customer or into custody on the customers’ behalf but ownership in such turf is retained by Coastal Turf until payment is made for the turf and all other turf supplied by Coastal Turf to the Customer. 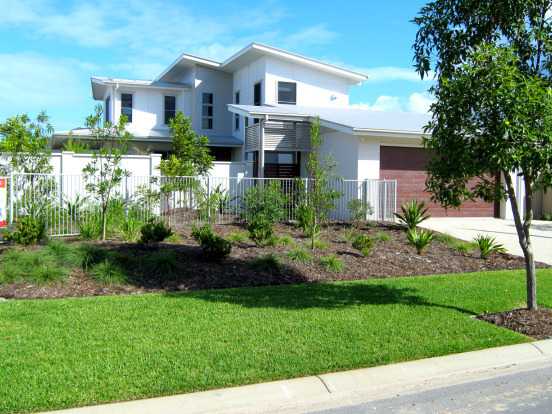 Coastal Turf offers a range of payment options including direct deposit, Eftpos Facilities, cash and cheque. Coastal Turf does NOT offer account services. All invoices must be paid upon receiving the turf. All invoices paid via our credit card facilities will show “Mt Victoria Enterprises Pty Ltd” as the payee.